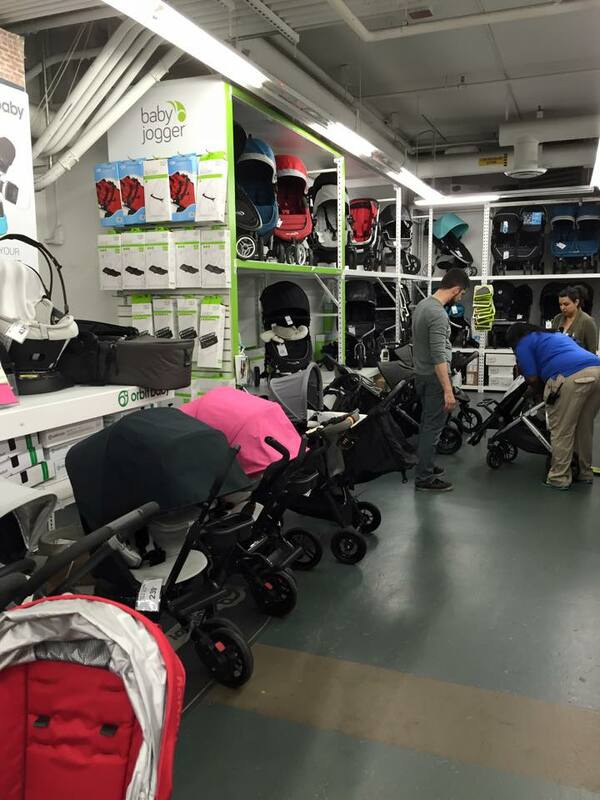 That’s exactly what came to mind when I rounded the corner at Buy Buy Baby today and saw what you see below — a sea of strollers. It’s as if I immediately realized I knew a lot about life, but that I didn’t know a lick about babies, especially when it has to do with strollers and getting from point A to B. It was all a bit much at first because my wife was a bit ahead of the game and I was quickly trying to catch up. I had so many questions… and we were only talking strollers! Can we get the Upababy Vista up the subway stairs? What if one of us is alone? Does the bassinet fit on both the Upababy Vista and City Mini? Does the car seat we have on our registry fit on both strollers? Do we need an umbrella stroller in addition to the two we already plan on getting? Three strollers seems crazy! Those are just a few of the questions that came to mind… and we were only in the stroller section of this monstrosity called Buy Buy Baby. We were only planning to look at strollers this trip, but three hours later we had gone through and essentially redone most of the registry my wife had previously done. When we finally made it to the glider section I had to sit. Because it’s what you do when testing out gliders. The next thing I knew we were sitting amongst a number of parents or parents to be. Everyone was chatting, swapping notes and nervously laughing. It was almost like we were sitting at a Parent Support Group meeting. If nothing else the experience was calming. Sort of. When we sat down at the registry desk it was easy to see that our list had grown significantly. I’m a minimalist by nature, so the thought of adding all of this baby stuff made me squirm a bit. But the thing is, I’m not yet convinced that we need every widget known to man. Everyone has different opinions on just about every baby item known to man. My guess is that our best bet is to have the absolute necessities and branch out once we learn more about what we need and what will be best for our baby. I could be completely wrong, but this strategy feels much more manageable than instantly being overwhelmed with every baby widget known to man.